LearnMMD is all about MMD Tutorials! NEW to these pages is a page featuring simple step-by-step instructions in a bullet-point method of presentation. I know that many readers “just want the facts” … so this new page is for you! 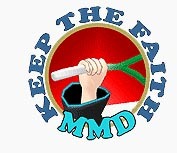 Be a responsible MMDer ... "Keep the Faith!"